Always organic. Chunky & crunchy. Nothing unnecessary. Setting standards. No junk promise. For happy food explorers. Grab, hold, munch. Tasty little eats with a bit more bite. No added sugar - contains naturally occurring sugars. Gluten free. No artificial colours or flavours. Vegan friendly. 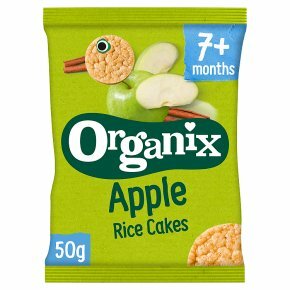 SAFETY ADVICE: For little ones 7 months+ who are sitting down and supervised.<br><br>IMPORTANT INFORMATION: The real ingredients in our rice cakes may stain so prepare for mess!